Canine parvovirus (CPV) disease is currently the most common infectious disorder of dogs in the United States. 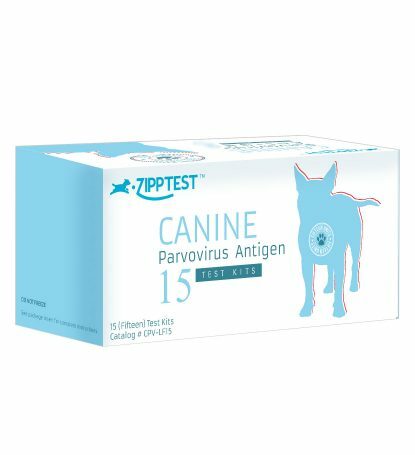 CPV is a highly contagious disease characterized by diarrhea that is often bloody and is caused by a pathogen called canine parvovirus, Type 2 (CPV-2). The most common form of the disease is the intestinal form known as enteritis. CPV-2 enteritis is characterized by vomiting, diarrhea, dehydration, dark or blood feces, and in severe cases, fever and lowered white blood cell counts. Current vaccinations have helped to control the spread of this disease but despite being vaccinated, some dogs still contract CPV and die from it. The majority of cases are seen in dogs less than 6 months of age, with the most severe cases seen in puppies younger than 12 weeks of age.